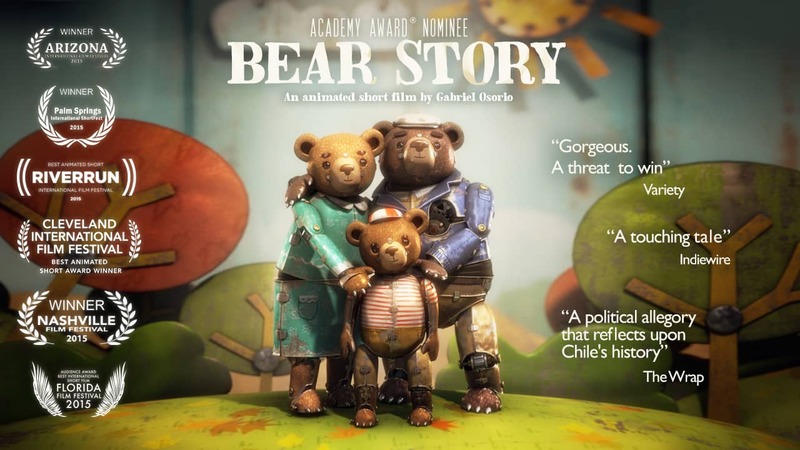 Awards of Academy Award for Best Short Film (Animated) for Best Short Films of the Year. Bear Story is a 2014 Chilean animated short film directed by Gabriel Osorio Vargas with the screenplay co-written with Daniel Castro and produced by Pato Escala Pierart. An old, lonesome bear tells the story of his life through a mechanical diorama.